Alternative investments in a self-directed IRA consist of a wide range of assets that aren’t available with conventional investing methods. Self-directed IRA investment options include assets like real estate, private equity, single-member LLCs, cryptocurrency, peer-to-peer lending, and much more. While typical IRA custodians or brokerage firms continue to invest your money in traditional stocks and bonds, a self-directed IRA custodian empowers account owners to take total control in making their own investment choices. 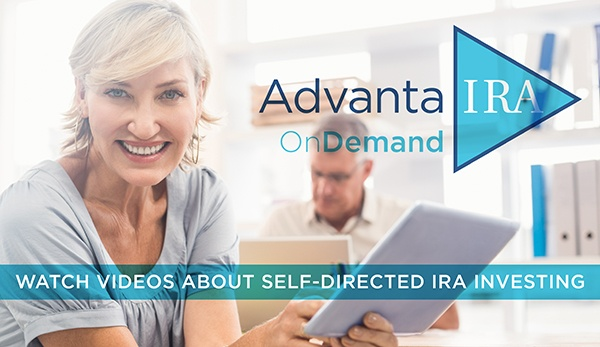 Individuals who have a self-directed IRA gain the freedom to make investments in things they know and understand, at a pace within their own comfort zones. Advanta IRA allows you to hold an endless list of alternative investments in your retirement account, which can also include traditional stocks and bonds, all of which helps to promote crucial diversification in your retirement portfolio. Alternative investments have the potential to build tax-free or tax-deferred wealth in your self-directed IRA, sometimes at a faster pace than traditional investment methods. Some additional examples of other alternative investments allowed within self-directed IRAs include cattle, timber, oil and gas opportunities, accounts receivable, rental homes or condos, commercial real estate and even raw land. The list of permissible investments is virtually endless. In fact, the only alternative investments you may not hold within your IRA are life insurance contracts and collectibles. Learn more about self-directed IRA rules and regulations. Remember, the power of you having a self-directed IRA is so that you can focus on investing in what you know best … we’ll take care of the rest.